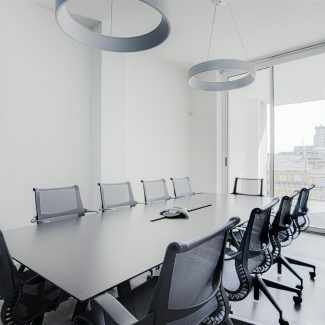 The project concept is characterized by a clean and linear design. 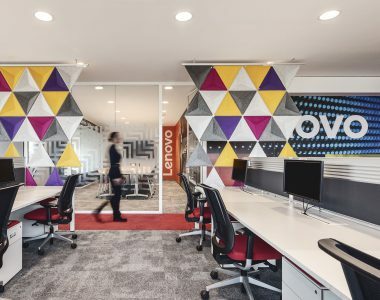 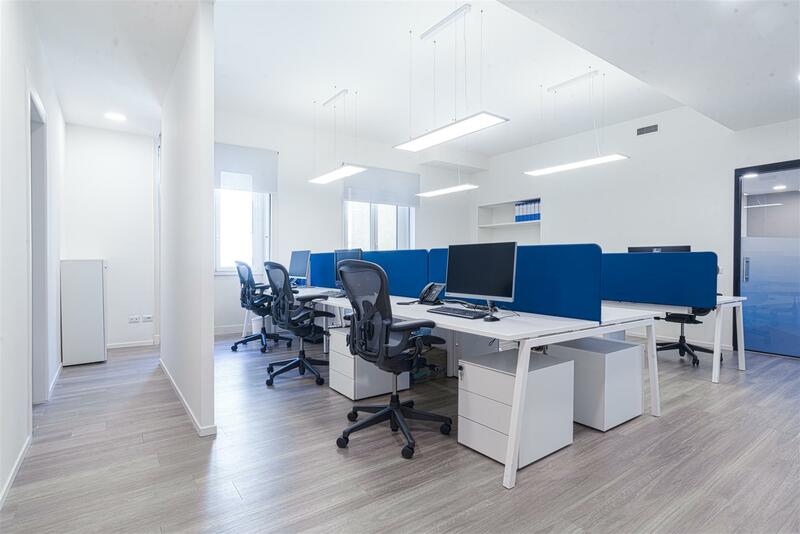 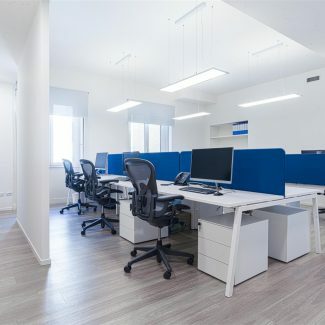 The space planning has been organised with a traditional layout with areas dedicated to the working stations for the operative functions and meeting rooms and closed offices for the management. 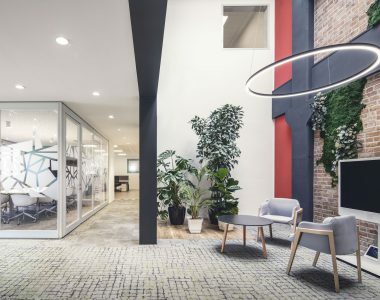 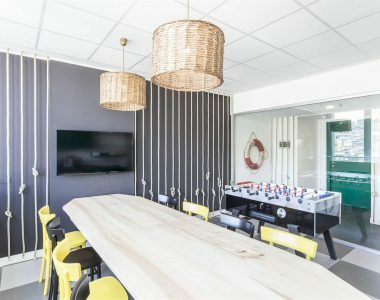 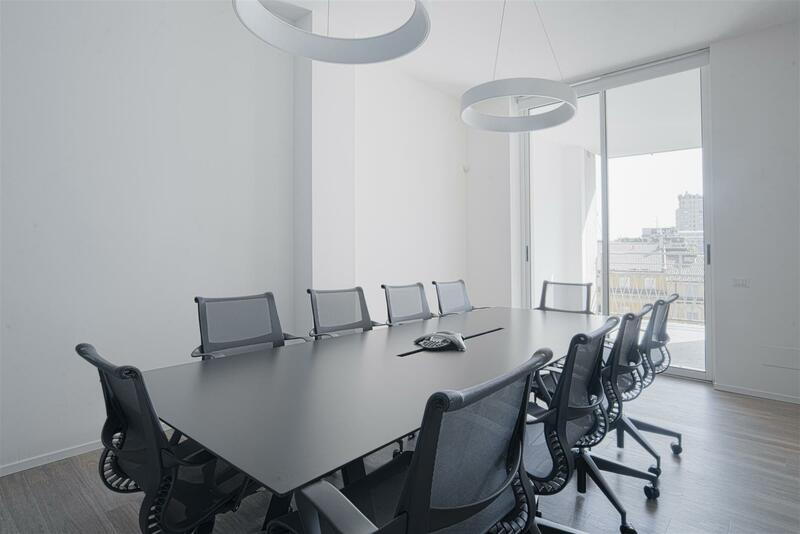 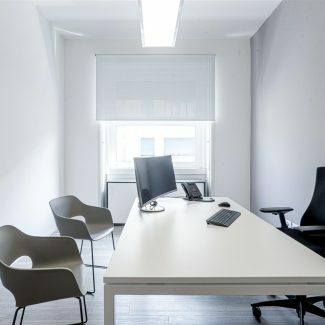 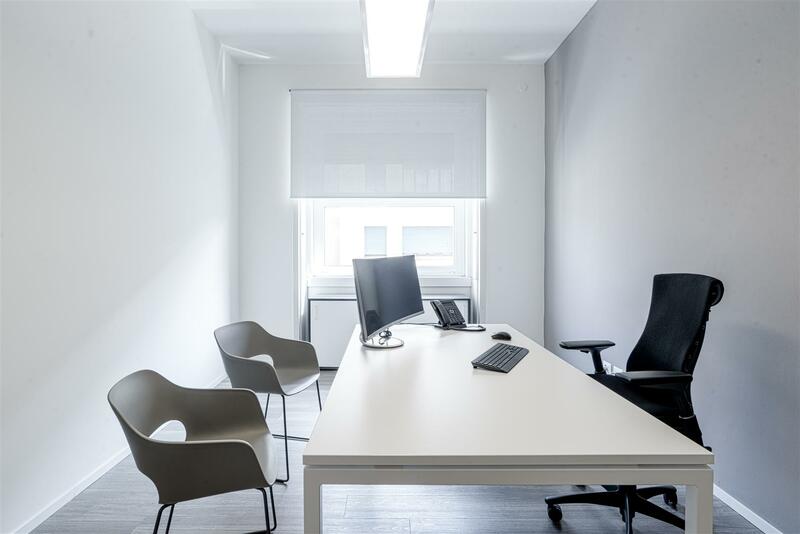 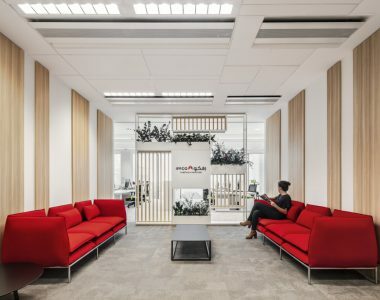 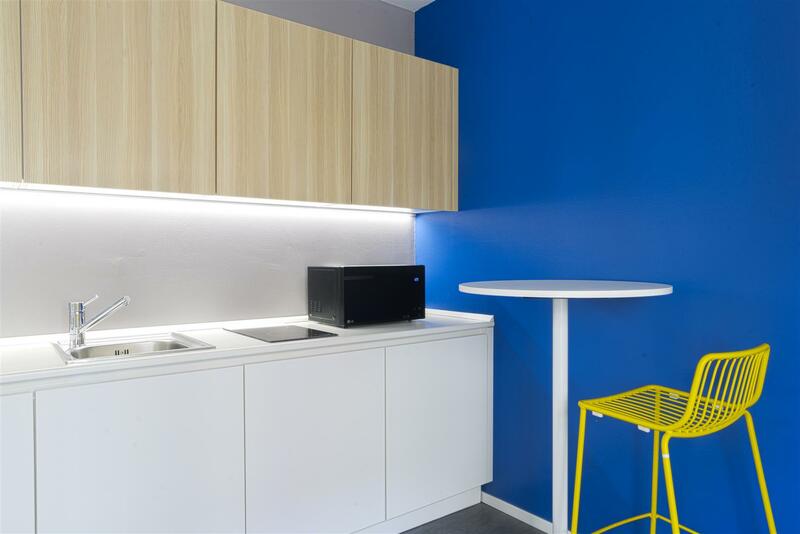 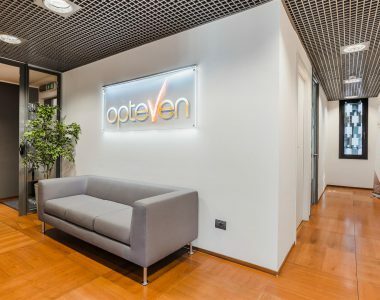 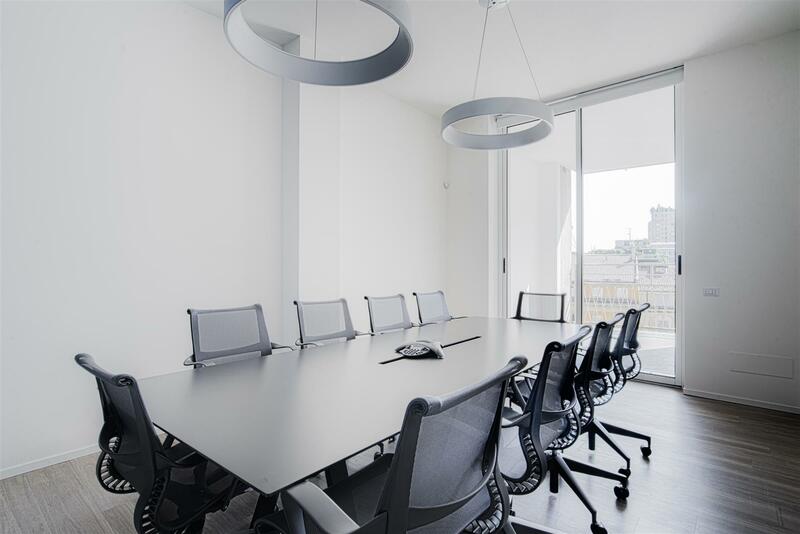 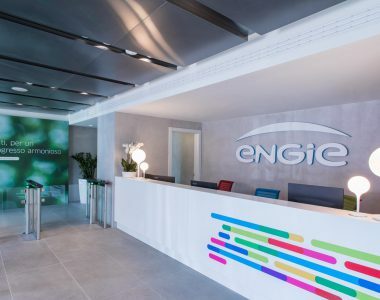 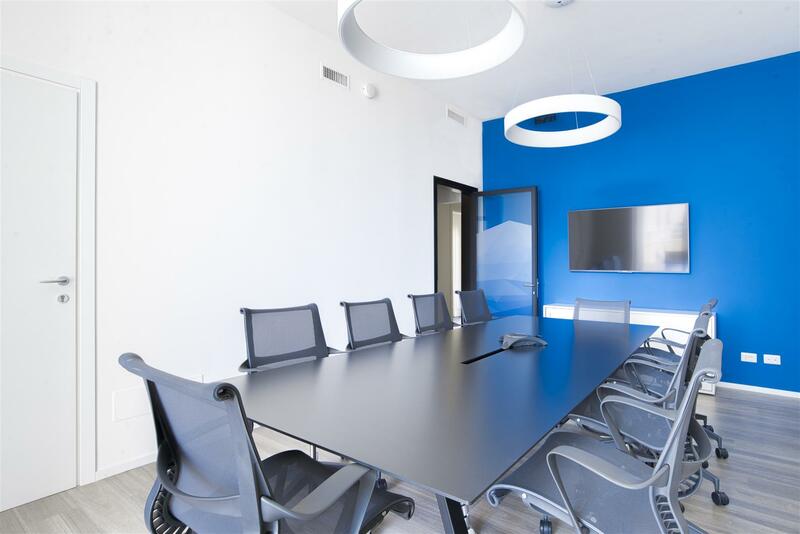 Besides some storage corners, the offices are also equipped with a board room, a break area, an external lounge for employees’ use and a made-to-measure reception area integrated to a waiting area that look through the meeting rooms. 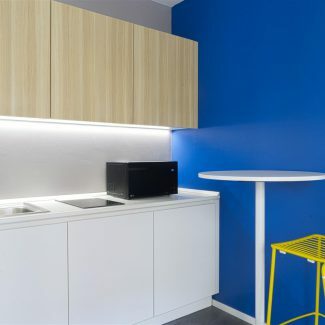 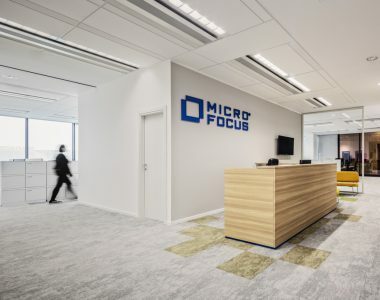 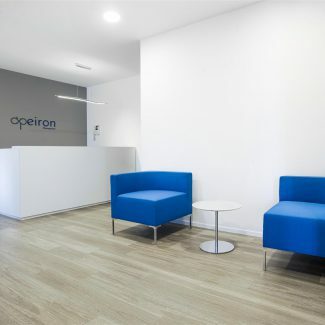 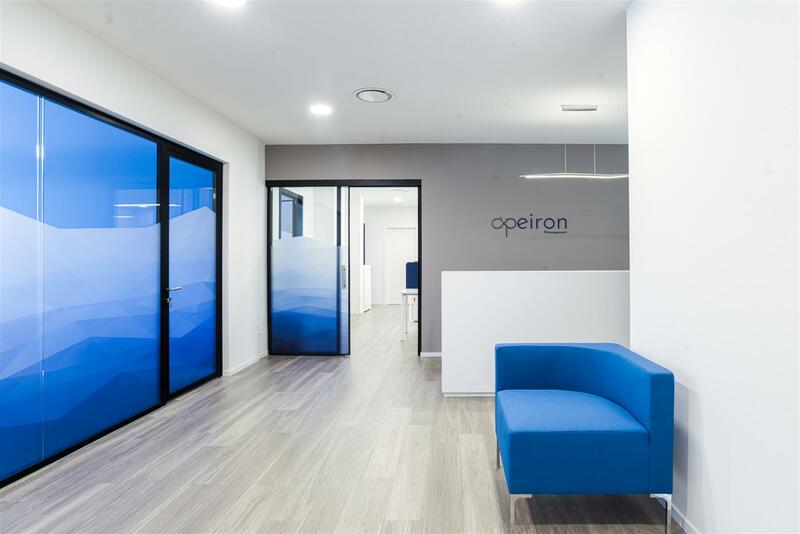 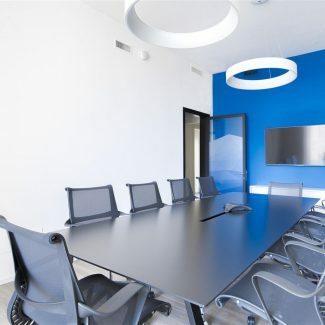 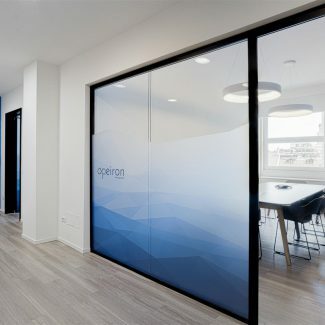 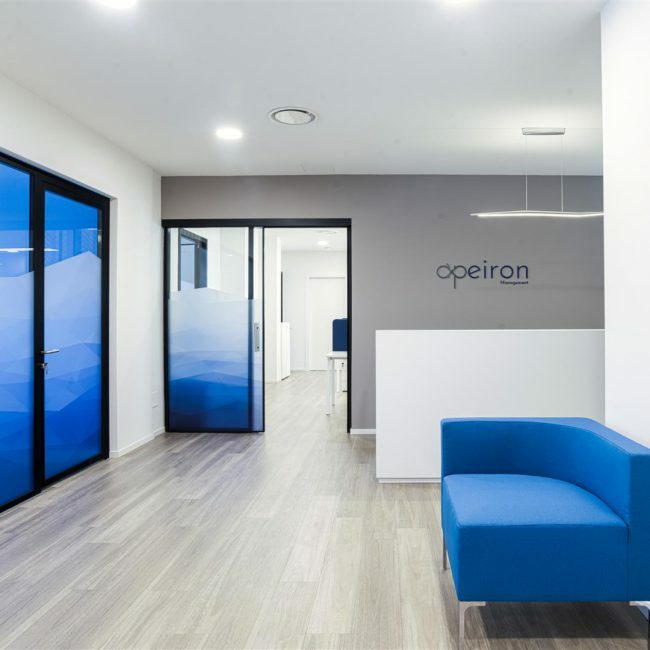 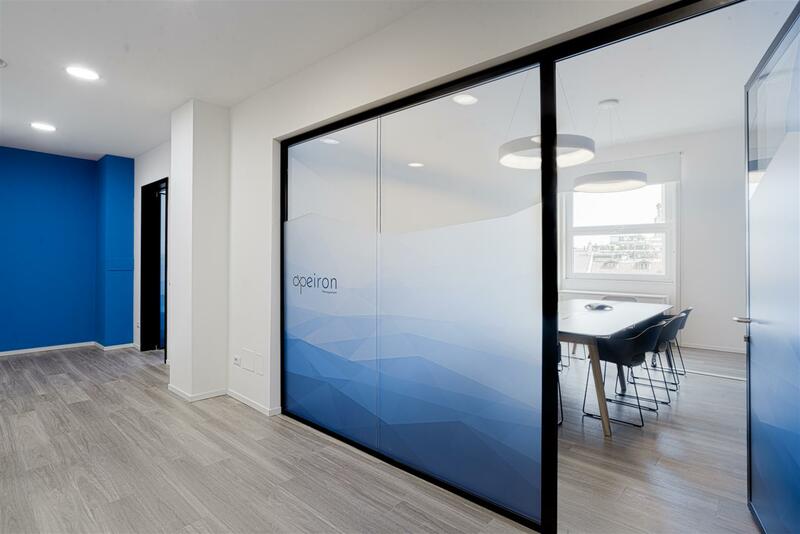 In the entire office, along with the light tones of the furniture, in contrast with the dark finishes of the doors, the blue nuances that recall the cromathic pallette of the client’s brand predominate the environment and are visible in the wall paintings, in the glass partition graphics and in some decorations. 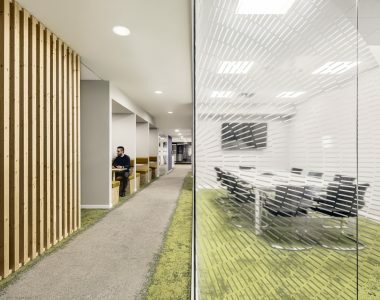 The location is warmed up by the choice of wooden finishes for the floors and adorned by suspended light spots, design furniture and acoustics panels installed in the meeting rooms. 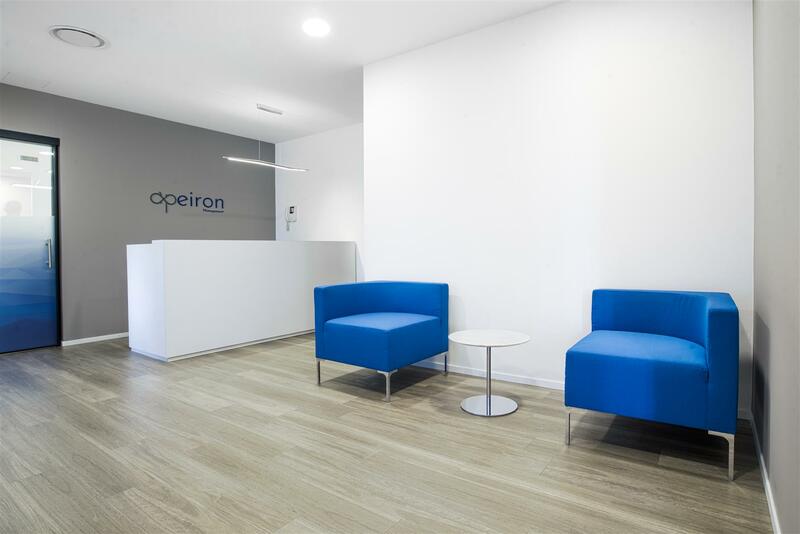 For the entire duration of the project Tétris was also in charge to coordinate all civil and plants works.